Agro-chemicals formulated and distributed by Agricura include herbicides, insecticides, fungicides, fumigants, rodenticides, nematicides and adjuvants. Dips Agricura formulates and distributes two types of dips Sentinel and Disnis. Equipped with internationally researched technology and well trained staff with years of experience, Agricura Pest Control Services guarantees a pest free environment at an affordable cost. Agricura was established in 1965 and has two main divisions, Agricultural Chemicals and Pest Control Services. 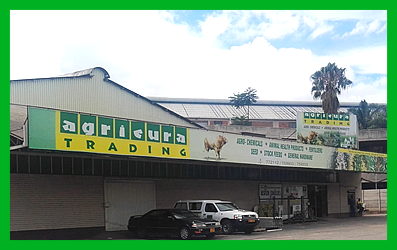 While the Head Office is in Harare, the company has a country wide network of branches and stockists to offer easy and convenient access of its products and services. Agricura provides a comprehensive range of crop chemicals, veterinary chemicals and pest control services. Teams of technical experts are available countrywide to offer before and after sales services on the safe and efficient use agricultural and pest control chemicals. Agricura is the leading and most recognizable brand in agricultural chemicals and provision of pest control services in Zimbabwe.